Seattle Schools Community Forum: What's Up With This? This sign was on the door at JSIS this morning. Anyone see one at their school? I'll be asking district administrators about it this afternoon but just wondering if anyone has any insights about what it means. Superintendent Juneau says she knows nothing about this. 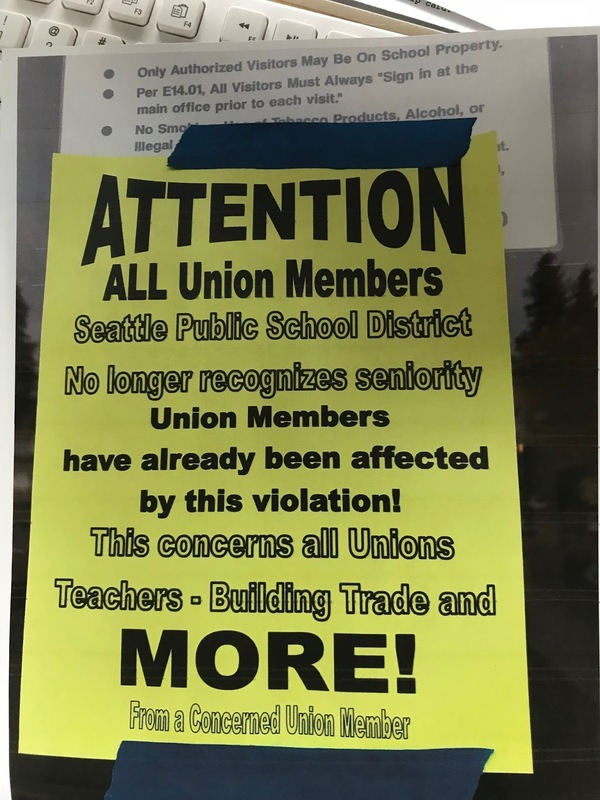 Why not ask SEA or SEE about it as it seems to pertain to an alleged union contract violation? Uh, there are some nuts in the union. Most are not nuts. Take it with a grain of salt. Who Gets to Go to Maple Elementary? AFM Attacking Children Throughout U.S.